The book helps automotive companies large and small to discover and use tools and techniques that will help transform them into high-effective business drivers. 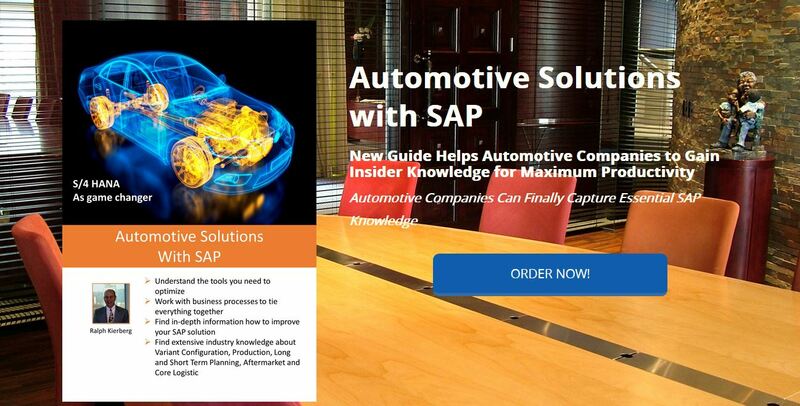 In Automotive Solutions with SAP: Generating Full Integrated Best Business Processes That Lead to Improvements, Growth, and Contributions, ($29.95 bookforces Publishing, December 2015) author Ralph Kierberg taps into 18 plus years of hands-on experience and know-how to outline successful strategies tailored for automotive companies. This detailed, guide includes examples of rapid backflush, real time supply-to-line, variant configuration that are model based, demand planning, vehicle and engine manufacturing and other important automotive challenges.